– The Tiago XZ+ will get larger alloys and added equipment. – Will also get new body paint and Tigor facelift fascia. – Launch expected to happen soon, perhaps in December. 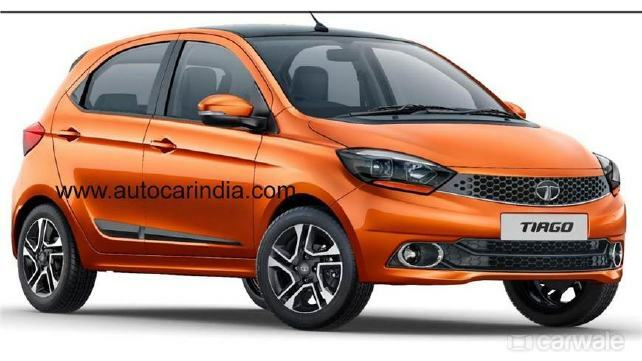 Tata will be launching a new variant of the Tiago in India soon which will be called the XZ+. This top-spec variant of the hatchback will get new paint scheme along with added interior features and larger alloy wheels. The new body paint expected with the Tiago XZ+ is the Etna Orange that was seen on the Nexon. There will also be a Titanium Grey contrast roof to keep things fresh on the outside. Moreover, the top-spec trim will get larger 15-inch alloy wheels as well, borrowed from the updated Tigor. The headlamps will get projector units as was seen on the Tigor facelift. On the inside, the seven-inch touchscreen infotainment system will make its way along with climate control and electric ORVMs. Under the skin, there won’t be any mechanical changes to the hatchback. This means the 1.2-litre petrol and 1.1-litre diesel will continue to be on offer in the top-spec guise. The transmission would be a five-speed manual but Tata may not offer the AMT in the Tiago XZ+ since that will see a considerable bump in the price tag. The new XZ+ trim of the Tiago will be introduced in a bid to keep the car buyers away from Hyundai’s newly launched Santro. Prices for the top-spec are expectedto be under Rs 6 lakhs but will be on par with the Santro Asta trim.